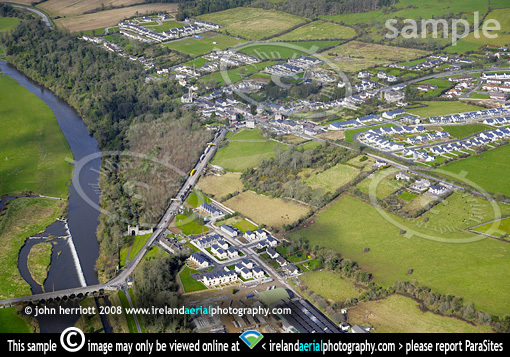 ' Slane aerial photo Co Meath town. On the banks of the river Boyne. Slane aerial photo, County Meath. for hosting rock concerts on the grounds.